We are available to discuss ways of economizing on your foreign freight costs while continuing (or improving) meeting your logistical demands and commitments. Even with the most thorough and extensive planning, shipping or logistics problems can still arise. 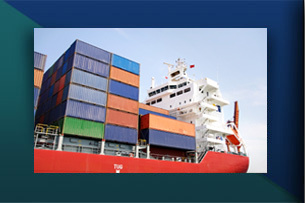 With Magellan Shipping as your partner, we will work tirelessly on your behalf to resolve any issues that come up. Here are just a few examples of how we were able to save our clients time and money. Our Customer had three containers en route to Kuwait when that country was suddenly invaded by Iraq. The steamship line transporting the boxes declared force majeure and discharged the containers in Dubai, thereby terminating the voyage. Fortunately, the customer was able to find an alternative buyer for the goods in Tanzania, and we were able to quickly redirect the containers to Dar es Salaam, successfully completing the transaction. — Fast deadlines? We find a way. A customer’s head office in Holland had an urgent need for six containers of their product to be taken out of their Houston inventory and delivered to Holland within two weeks. We were able to have the product trucked directly to the east coast for loading onto a vessel with a 10-day transit time to Rotterdam. This saved the client more than half of the usual transit time of 21-25 days typically required for vessels sailing directly from Houston. Four containers of roofing tiles were in transit from Aqaba Jordan to Los Angeles when new USDA requirements went into effect. Now, only fumigated or heat-treated solid wood packing materials would be permitted entry into the USA. When the containers arrived at Los Angeles, USDA inspectors found the packaging inside to be non-compliant and refused them entry. We immediately arranged to have the containers re-exported to Hong Kong where the offending packing materials could be replaced with compliant lumber. The containers then returned to LA which saved the company some eight weeks in transit time along with significant cost savings given the difference between freight rates between USA/Jordan and USA/China. Recently, one of our import customers had a container detained at the Port of New York/New Jersey because their shipment of canned olives was found to be loaded on non-compliant wooden pallets. Taking action on their behalf, we were able to persuade the on-site USDA inspectors to permit the loose cartons of olives to remain in the USA, and re-export only the empty pallets. This resulted in considerable savings for our client, both in freight costs and transit time. A container load of electrically lit Christmas trees arriving to the US was discovered by Customs to have erroneous markings on the transformers, indicating that they were certified by Underwriters Laboratories (UL). We were able to trace the issue back to the UL Intellectual Property registry department and found that the markings were indeed erroneous. We succeeded in winning the Customs Inspectors over to our suggestion that only the transformers be confiscated instead of the entire shipment, which they had every legal right to do. Then, we arranged for the necessary labor to segregate out the offending tranformers from the trees themselves, under Customs supervision. These actions made it possible for the shipment to arrive at its destination before Christmas. You can also buy an in stock wig that is already made and ready to be shipped. There are two categories for hair extensions sale which are the lace front wigs and the full lace wigs. The main difference between them is the lace base, a best lace wigs uk has a lace base on the front half of the head while a hair extensions uk has a lace base that covers the whole scalp. You need to choose carefully between them, a wrong selection may cause a lot of inconvenience. The glueless lace wigs uk have many advantages, and one of them that stand out is that they look very natural and realistic. As long as it is attached to the head properly, it can be styled in the same way as real hair. A full lace wig is very lightweight. So you do not even need to remove it even if you wear it for several days. But what makes people feel headache is that it is so difficult to attach the wig to the head, which is one of the disadvantages for the lace wigs uk.